Someone once told me that the power in all relationships lies with whoever cares less. But power isn’t happiness. And I think that maybe happiness comes from caring more about people, rather than less. Ghost of Girlfriends Past – Connor Mead’s best man speech to his brother Paul. First off, I’d like to introduce myself. I’m Johnny, Joanie’s husband, as you probably assumed by the title of “Meet the Hubs”. In the trend of Whine & Roses bring you the above quote. Having the power in a relationship, in the end means little to nothing. All the power in the world doesn’t matter if you’re not happy. Happiness is the fuel for long lasting, great relationship. My suggestion for everyone who reads this is to take a moment. Go ahead, I will wait. Think about what do you and your partner do together that makes you both really happy. Do it. Go to dinner, see a movie, take a walk. Personally, I plan to take my Queen out to dinner again soon. A new restaurant has opened here we both have wanted to try. We’ve been through a lot in the 8 years we’ve been together. Married for 7 of those years. 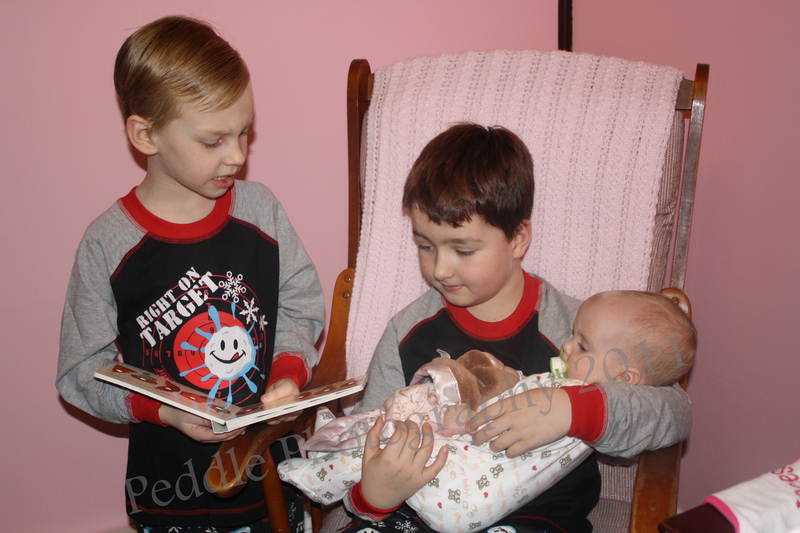 The birth of 3 children. Illness. Depression. Near poverty. Joy. Moving. Life has been an obstacle course of things we needed to overcome together. Thanks fo going through it with me , baby. Yesterday’s post was supposed to be a whine about how love isn’t always cracked up to be, but then I had some coding issues and it fell through. Rest assured I’ll be back later with a post…but be forewarned that this day started out with some serious frustrations and that post will be a whine too. Sometimes love stinks. Tally so far: Roses 6, Whine 1. Congratulations Whine. You’re in the game after all. Forget love… I’d rather fall in chocolate! Want to know something I love? 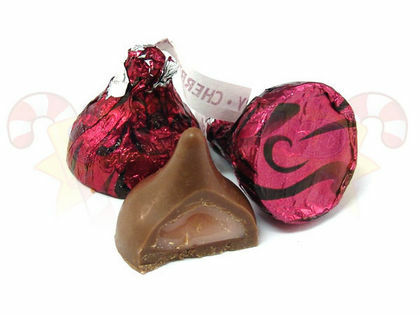 Hershey’s Cherry Cordial Kisses. And as of tomorrow they are off the menu due to starting a new diet. Guess I’ll just have to enjoy them twice as much while I can! Spread love everywhere you go: first of all in your own house. Give love to your children, to your wife or husband, to a next door neighbor… Let no one ever come to you without leaving better and happier. Be the living expression of God’s kindness; kindness in your face, kindness in your eyes, kindness in your smile, kindness in your warm greeting. Mother Teresa was a wise woman. The more I read about her, the more I adopt her as my hero. I strive daily to be more like her. This quote is just one example of the wisdom that this woman imparted. The more I think about love, the more I want to share love – to spread it around. What better place to start than at home? Love is…a big belly laugh from my little girl who just started making those belly laughs last night. 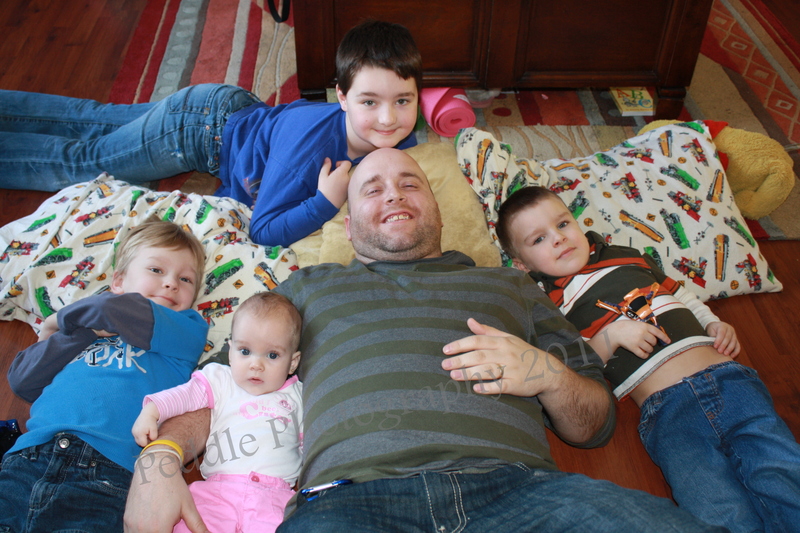 Love is…my husband putting the kids to bed so that I can sit down and write this blog post. Love is…kisses from my boys who have the sweetest lips imaginable. 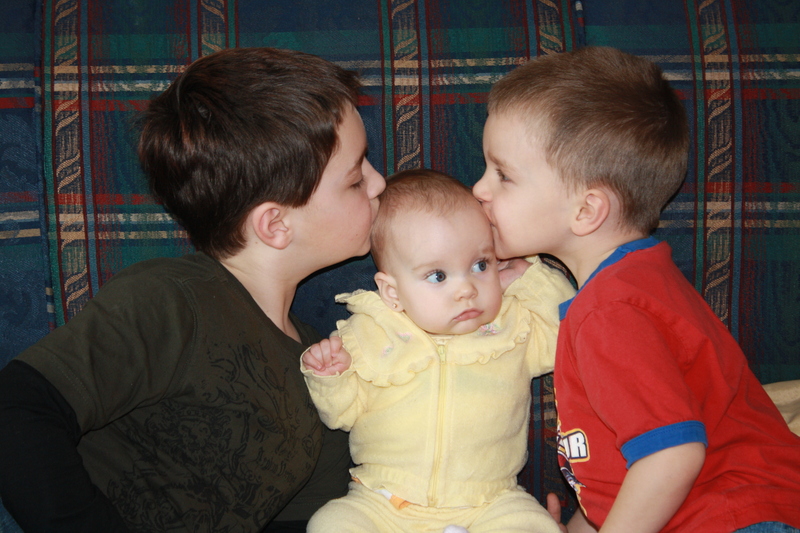 Love is...kisses from big brothers to little sisters. Sometimes I think that the love shared at home is the best love of all. Whine and Roses #4 – Is Elsewhere! Todays “Whine and Roses” post is featured on my dear friend Priya’s blog over at My Reflections! I encourage all my readers to go check out my post and the rest of Priya’s blog as well, as she is definitely a favorite blogger of mine. Become a follower too, you will not regret it! Thank you Priya for this wonderful opportunity. It’s been an incredible experience and I have truly appreciated it. Much love for you from me and my Army. 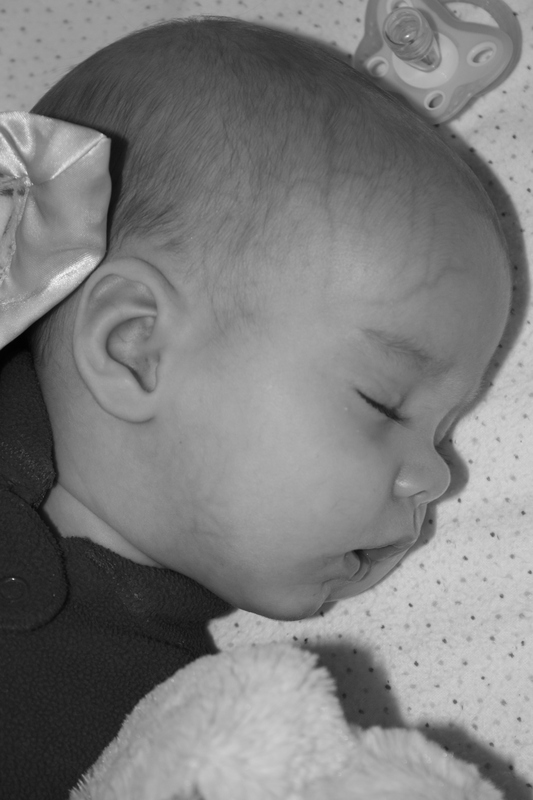 A little girl is sugar and spice and everything nice – especially when she’s taking a nap.